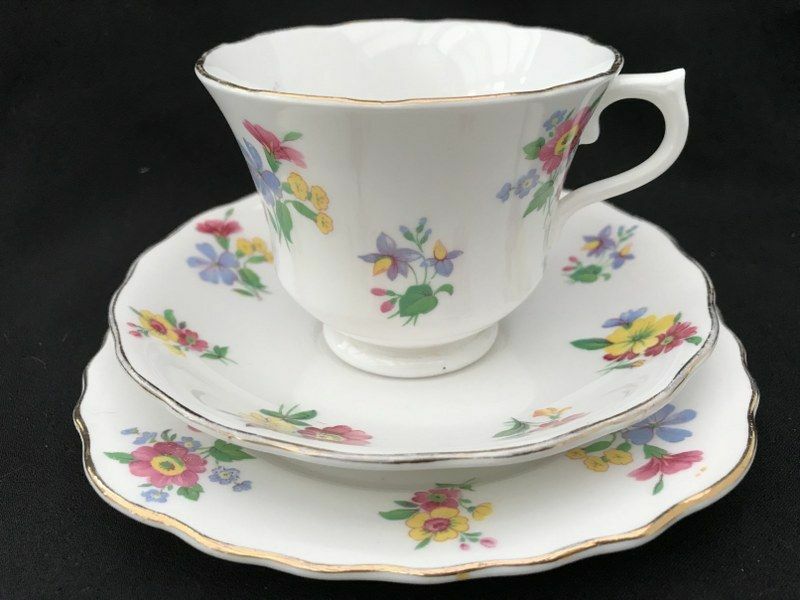 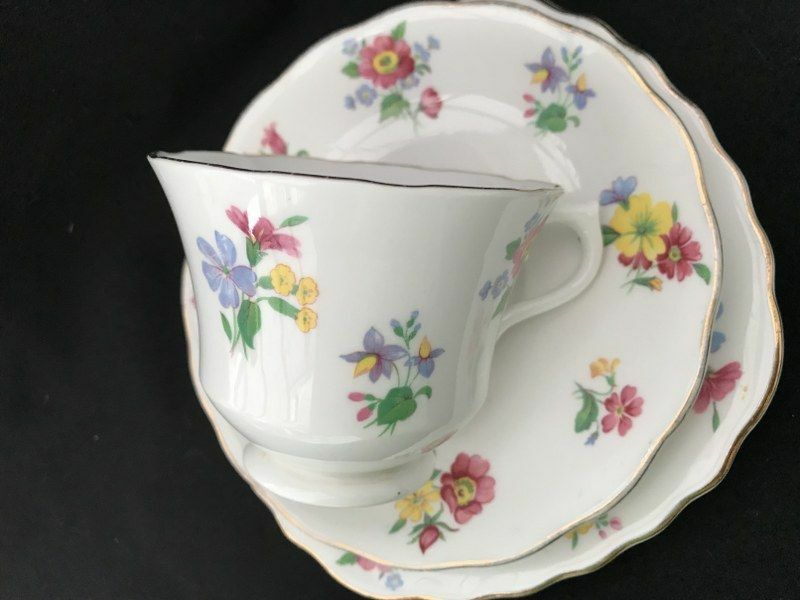 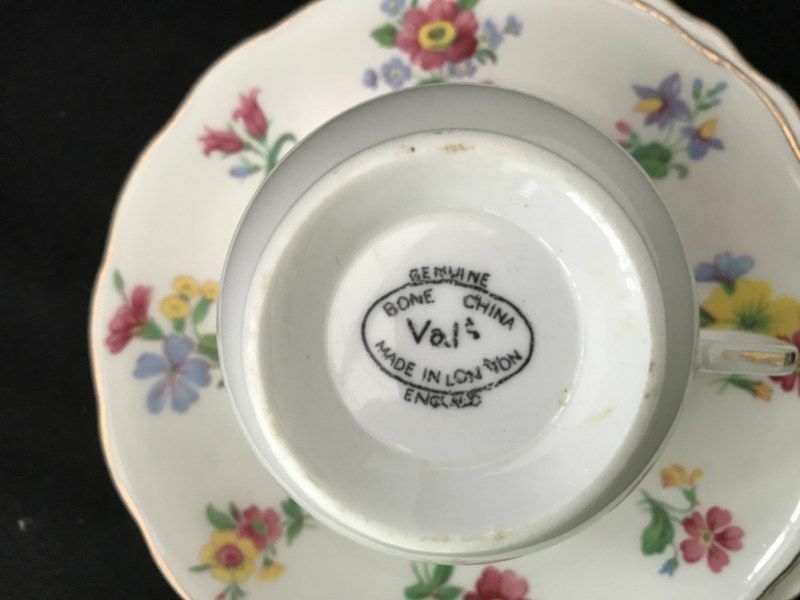 Vintage Vale tea trio with white ground and scattered flowers in bright colours. Gilt rims and handle details. 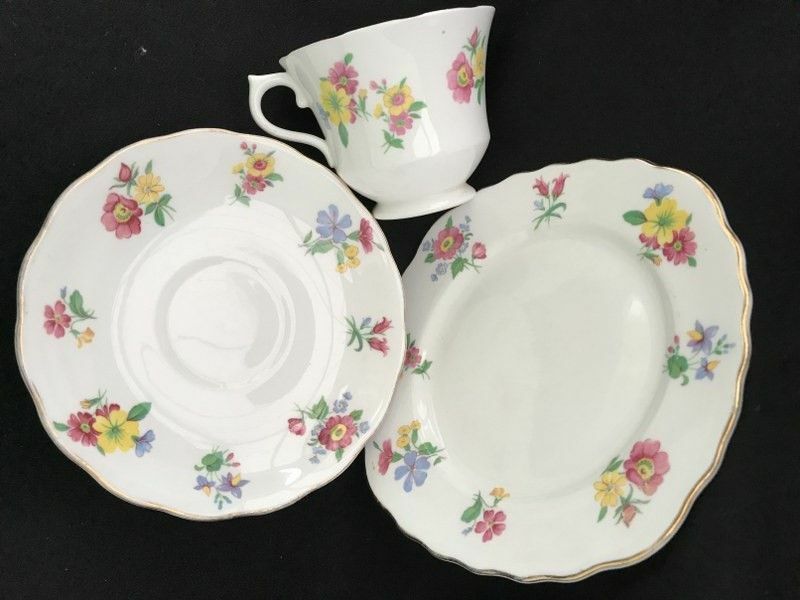 In good condition, very minimal signs of wear but some gilt rub..